Arrange cleaning of the dumpster site – not just the dumpster. A clean, washed dumpster won’t be enough to reduce the numbers of wasps foraging if there are spills and sweet substances on the dumpster pad and areas near the dumpster. It is also just as important to keep the area between the back door and the dumpster clean. Reduce spillage. Double-bag garbage and trash and seal tightly. Carefully place it in the dumpster to prevent bags from snagging or ripping and leaking. Don’t drag trash bags to the dumpster. Empty and clean outdoor trash containers at least daily – and more often than normal. Dumpsters and trash containers should be emptied on a more frequent schedule in warm weather, or during times wasps are numerous. Never overfill dumpsters. Empty outdoor trash containers near closing every day. Clean any trash containers, and the surrounding area. If there is evidence of sweet liquids (soda or leftover fruit, for example) or food. 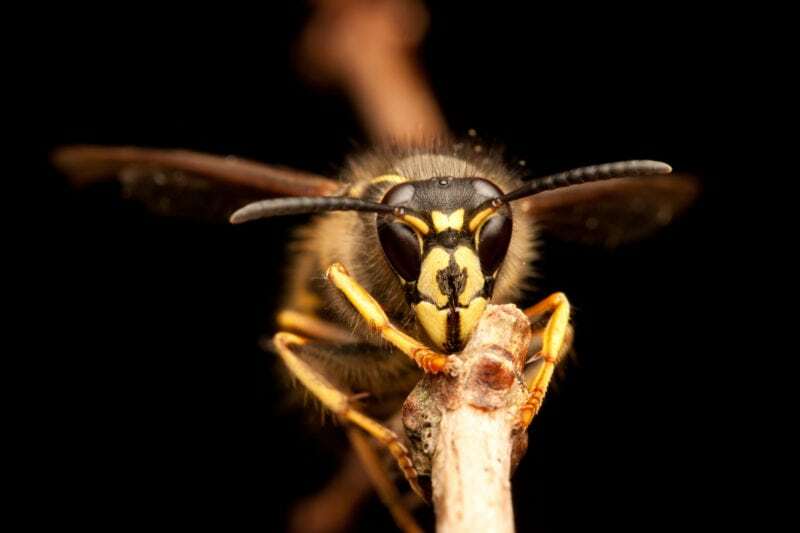 Wasps scout for food early in the morning, so make sure there are no attractive substances waiting for them. Immediately clean up outdoor spills and food debris. Foraging wasps will quickly discover the food and soon more wasps will follow. A clean site is also important to preventing flies, ants, birds, rodents and other pests and wildlife. Use care when using wasp or yellowjacket traps. If traps are used, be very careful. Generally, traps don’t result in lower numbers of wasps because the bait in the traps may actually attract more wasps foraging in the area. Do not place traps near doors, or where people may be present. Instead, place the traps as far away as possible from people to draw the wasps away. Have a professional remove any wasp nests. If there is a wasp nest on the property, contact your Copesan service provider to take care of the problem. Do not attempt to seal the entrance of the nest, try to kill stinging insects with aerosol insecticides, or swat at the wasps. If you do, you may make the problem much worse. Be aware that nests may be in the ground or in unexpected voids. Your Copesan pest management provider will be able to properly remove the wasp nest with minimal risk.